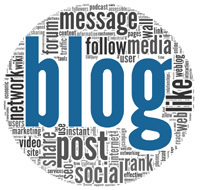 Welcome to our locksmith blog. You heard about LockTech24/7 and you want to know more about us. We happy to announce, you definitely landed on the right page. In these articles we will take to the world of security and locksmithing. If you’re asking what a locksmith is – we have the answer for you. In the long run, you may enjoy reading about many topics regarding lock & security. We’re happy to share the information regarding our professional locksmith services with you. We ensure a clear view on our services, so you can follow your budget and expenses. You can also visit our locksmith services page to find out how we can help you. Here, on our locksmith blog page, we publish our passions of locksmithing. We’d like to share our knowledge, experiences or our latest news & updates you with our advanced information about locksmith & security. Over the years, we gather experience and knowledge to be able to share our thoughts with our clients. At the same time, we know there are many people who reading our blog posts, but stay passive in the background. When you’re running late, can’t go to sleep, you can read some of our posts. We often rely on our website to engage with our clients. When our customers get second thoughts about their safety of the family and the security of their home, they call us to fix the problem. We are the best professional locksmith service providers in Lehigh Valley, PA. And this include, Allentown, Bethlehem, and Easton PA, as well as Kutztown, Lehighton, or Bangor Pennsylvania. You can search and roam our website, in order to get your confidence in our professional locksmith services.